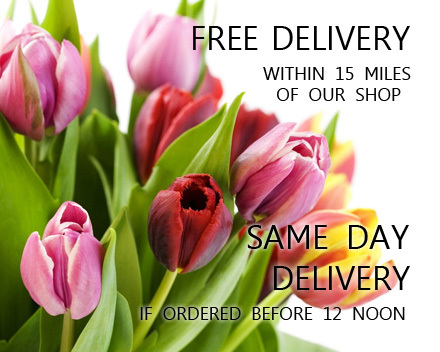 Forget-Me-Not Flowers | Free Same Day Delivery - Dereham and surrounding area. We deliver personally and FREE OF CHARGE to Dereham, Fakenham and the surrounding towns and villages within a 15 mile radius of our shop in Toftwood ( NR191JJ ). For any area outside this, we can send your flowers via associate Florists. Specific delivery dates and times can be requested, from the CHECKOUT page, using the PREFERRED DELIVERY DATE box, or the DELIVERY INSTRUCTIONS box, or via email or telephone. You can order as far in advance as you like.